The word Pawn comes from the Latin word 'pignus', for pledge, and items that are pawned are often referred to as pledges, pawns, or simply the collateral. 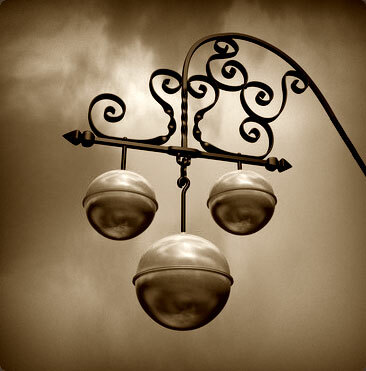 The pawnbroker trade is one of the oldest to exist in human history. It's been around for a few thousand years, and is known to have originated in China, and existed in ancient Greece and Roman society. We can even attribute the expeditions of Christopher Columbus to the pawning of the crown jewels by Queen Isabella of Spain. A lot of folks ask about the three gold balls that has come to represent the universal symbol of pawn shops around the world, the very one that we use in the logo for Shannock's Pawn. Legend has it that one of the Medici family in Italy (major money lenders in Europe) once wielded three sacks of rocks to slay a giant. The three balls, or globes, later became part of their family crest, and ultimately, the sign of pawnbroking. Present day, pawn shops serve as a source of credit to millions of Americans, providing small secured loans for a brief period of time. Short-term credit can assist the local community in covering expenses to other local merchants, such as covering utility bills, buying groceries, and paying for medical expenses, auto repairs, and other transportation expenses. Shannock's Pawn is proud to be a neighborhood business that serves the local community. For some, pawn shops in general seem like shady 'backdoor' operations. At Shannock's Pawn, we have worked for over 20 years to debunk that stigma. We are honored to uphold the rich heritage of the pawnbrokering trade, and believe that over the centuries it has developed into an artform. Every item that is pawned at Shannock's is thoroughly evaluated, and at the heart of every transaction is a fantastic lesson in economics. You need a small loan. You bring in something you own to Shannock's Pawn. We assess the value of your item, and offer you a loan based on its current resale value. We hold your item as collateral for the loan (this act is called pawning). 1. Pay the interest on the loan every 30 days to keep your loan current. 2. Pay the loan back in full, plus interest, and we will return your collateral. 3. Do nothing. We'll release the pawned item for sale on our showroom floor. Example: You need a quick loan, and you have a nice digital camera that you will put up as collateral. 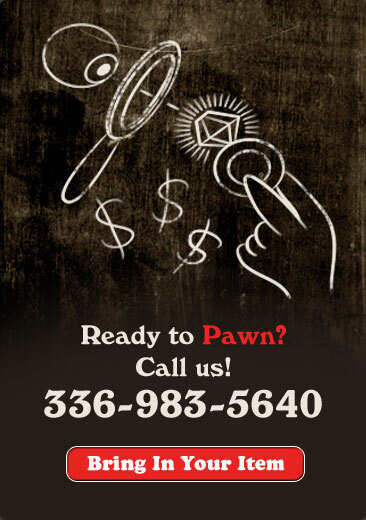 The experts at Shannock's Pawn determine the value of your item, and offer you a $100.00 loan. You turn over your digital camera to Shannock's Pawn as collateral, and we give you the $100.00 loan, and a pawn ticket. Within 30 days, you have a few options. You can return to Shannock's Music & Loan and pay the amount in full, plus interest to get your pawned item back. Or you can keep the item in pawn, and simply pay the monthly fee. You can also opt to not pay anything, in which case we will keep your pawned item and sell it. The item pawned is redeemable only by the bearer of the pawn ticket or by identification of the person making the pawn. Any personal property pledged to a pawnbroker within this state is subject to sale or disposal when there has been no payment made on the account for a period of 60 days past maturity date of the original contract. No further notice is necessary. The interest and pawnbroker's fee are deemed earned on the date of the loan, you will not be entitled to a refund of any portion of those charges. This contract is renewable for periods of 30 days each if agreed upon by both parties, as outlined in Chapter 91A of the General Statutes of N.C. In the event, the pledged item(s) is(are) lost or damaged while in our possession, it shall be our responsibility to replace the lost or damaged goods with merchandise of like kind and equivalent value. In the event we and you cannot agree as to replacement, we will reimburse you in the same amount of the "STATED VALUE" set out in the contract. The pledgor of the item(s) attests that it is not stolen, has no liens or encumbrances, and is the pledgor's to sell or pawn, and you are representing that you are at least 18 years of age. You also acknowledge that you were given a copy of the contract, and consent to the sale or disposal of this property according to the terms set forth herein.